Judging by the recent volume of write-ups in the press about acne, a skin condition that used to be associated with teenagers, seems to be affecting more and more adult women and men. British Vogue (Jessica Diner’s ‘Clear Future’), Grazia UK (Emma Strenner’s ‘Hit The Spot’ and Red Magazine (Eve Cameron’s ‘Seeing Spots’) articles flashed before my eyes, as I did my own research and tested two products sent to me by the Icelandic brand Ra Oils, their products aimed at people afflicted with acne and launched in the UK a few months ago on Cult Beauty. Acne comes in many shapes and forms, but in essence it is an inflammation of the sebaceous glands. Located under the skin, sebaceous glands secret sebum, an oil that lubricates hair and ‘waterproofs’ the skin. When those glands become overactive, typically stimulated by high levels of hormones in the body, the skin becomes oilier than usual, as well as inflamed. Acne used to be associated with the changes in the bodies as they go through puberty during teen years, as the body uses sebaceous glands to expel the excess of the hormones that flood it. Sadly now it can also persist or flare up in adulthood and some women and men develop this skin condition in their later years, having not suffered from it during their teens. What’s even more surprising is that while the beauty marketplace is saturated with acne products and treatments, the problem with the number of people who suffer from it seems to be worsening, not diminishing, causing many tears, frustrations and problems with self-confidence and self-esteem, no matter the age. As someone who has admittedly been lucky not to suffer from acne, I couldn’t help but want to address this subject, as a few people I know have suffered from different forms of acne and I have had requests to write about the subject for a while. 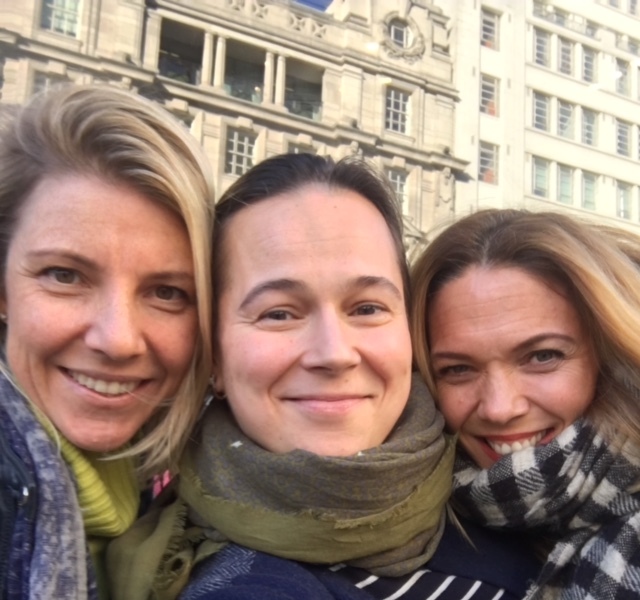 While I can’t offer my own experience in this instance, I took it upon myself to ask Frida Jonsdottir, co-founder of Ra Oils (alongside her mum) about this debilitating skin condition, from which she suffered for many years. 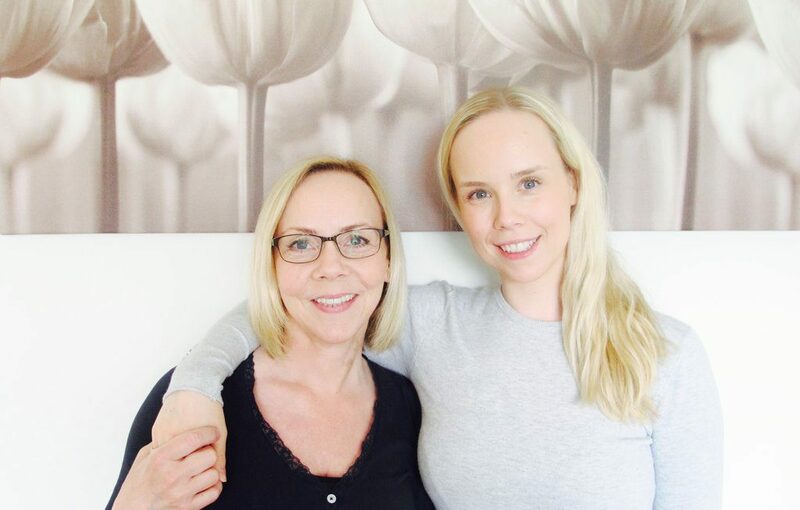 Thanks to the determination and input from her mum, not only did Frida manage to get her acne under control, but admirably she was inspired to share her own painful skin journey with others, offering hope, advice and effective products developed specifically for skin prone to acne (you can also use Ra Oils products on other skin types, more on this later in the post). So without much further ado, please say hello to the lovely Frida & I hope her answers to my questions will offer you some useful insights into acne, as well as practical tips and advice to help you, if you suffer from this skin condition. Creating a beauty brand is never easy, least of all now, when consumers are fickle and the beauty marketplace heaving with activity. Yet when you are young & determined, the world is your oyster, in more ways than one. All you need is to pull up your sleeves and work heard, in order for your dream to become a reality. That’s exactly what Sarah Zimmer, founder of Naya, set out to do. Naya is a beautiful mix of science & natural luxury. 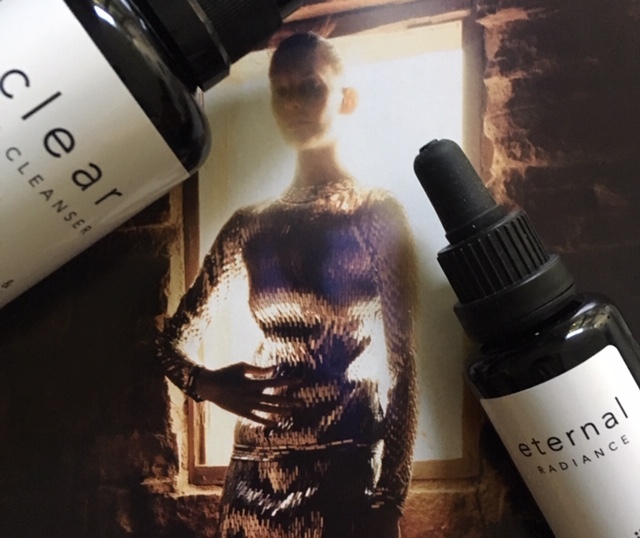 Sarah’s aim was to create a beauty product range, free from a number of harmful & unethical ingredients, including synthetic fragrances, colorants, parabens, mineral oils, silicones, sulphates, GMO, PEGs, DEA, MI, formaldehyde, mercury, lead & bee venom. The brand is already PETA certified & Sarah is also currently considering getting the Leaping Bunny certification. In addition, Naya is in process of becoming part of the B Corporation Community, whose mission is to be purpose-driven & to create benefits for all stakeholders, not just shareholders. We all reach a point in life where we either learn to trust the universe or continue surging ahead thoughtlessly, like a bull towards the matador. It probably takes certain frame of mind to become comfortable with trusting life in general and in my case, this year some work opportunities lead to unexpected gifts in the sense that my body or mind ( or both ) get the unexpected gift of exactly what they need in the moment in time. 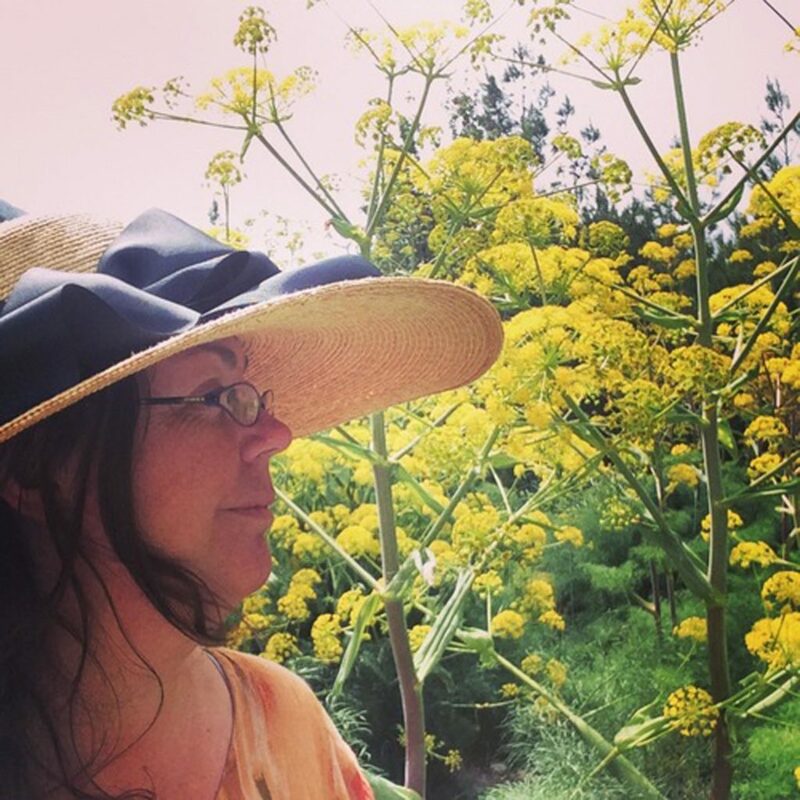 Meeting Katie Brindle, a former opera diva and a founder of The Hayo’u Method in June turned out to be one of such gifts. A dear friend of mine told me about Katie a little elusively during one of our lunches in spring, saying that she was testing something and that the person that she saw was incredible, with more information to follow in due course. I nodded and put the conversation to the back of my mind. A few weeks later, my friend sent me the press release and made the introductions. Knowing that I was planning to travel in July and August, as if by magic, she managed to make my appointment happen, balancing it between my kids being on a summer holiday and Katie’s busy work & personal schedules. I was intrigued. Arriving a little early for the appointment, I found myself walking through a council estate just off Notting Hill’s Westbourne Grove, wondering if I got the address right. 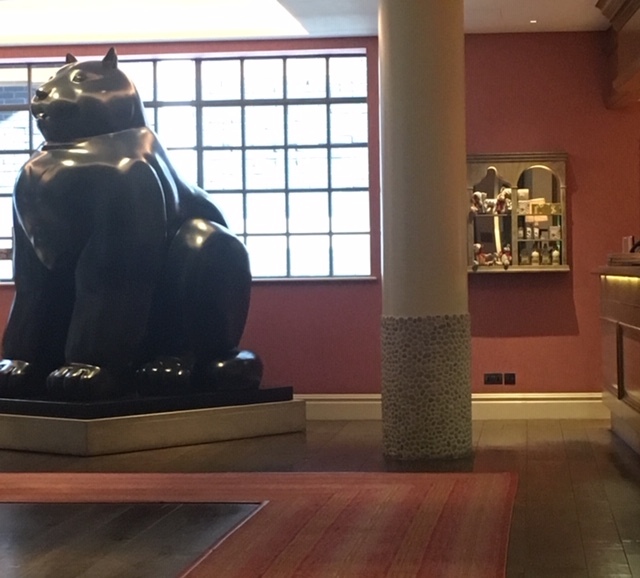 In my slight confusion I called Katie to double check and within a few minutes a blonde woman with the most unusual, beautifully husky voice beckoned me in. Tall, blonde and with piercing eyes, her looks commanded my immediate attention, yet I felt surprisingly comfortable in her presence. Katie led me into the living room, telling me this apartment was bought by her many moons ago and now worked as her occasional London base for work, while she lives in the country with her family. We set down at a table, Katie poured me some hot chrysanthemum tea, which managed to cool me down on a hot summer day and we started talking. Two hours flew by and our conversation took me on an intriguing journey, an impact from which I feel to this day. Hayo’u Method is distilled from the ancient wisdom of Chinese Medicine. It combines easy techniques & luxurious products to transform your health and beauty. 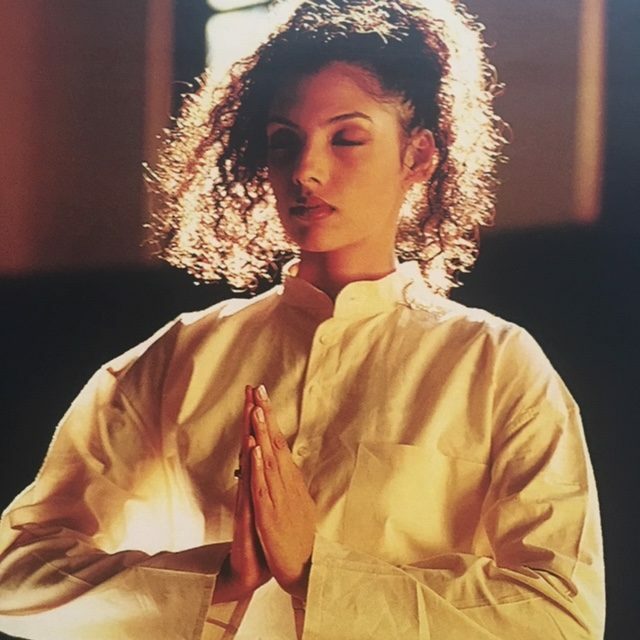 Inspired by the remarkable and largely underestimated benefits of Chinese self-care rituals, Hayo’u Method was created by Katie, who, as an experienced Chinese Practitioner, wants to empower people by teaching them to master their own health. Katie, a striking woman both visually, as well as personally, was on a path of being an opera diva, when a car crash put an end to her singing ambition. Health issues from the crash lead to a career crisis, so Katie tried working in marketing, as she liked communication with people by the means available to her. She also worked for the BBC, helping to launch something that didn’t exist before – their website. Having observed Katie from the sidelines, I think she is clearly a person who gets things done and is someone who doesn’t rest on her laurels, nor is afraid of challenges life throws her way. Over the past decade as a consultant, Katie noticed that patients who adopted her self-care techniques, improved much faster than those who didn’t. By structuring this knowledge into a simple explanation, particularly when it comes to stress, which is the underlying cause of many modern diagnosable ailments, Katie created daily practices, followed by the products for everyone to benefit from & the Hayo’u Method was born. Katie is a strong advocate of Western and Chinese Medicine working symbiotically for optimum health. However, few people in the West appreciate this focus on self-treatment, which is wonderfully accessible to anyone, no matter their state of health. More widely, Chinese medicine is still often misunderstood, mistrusted and un-contextualised, which Hayo’u has set out to change. Self-care is known as the first pillar of Chinese medicine. So for Katie, the main focus as practitioner is on her patient’s quality of life, particularly as we are in the grip of a health epidemic, that concerns our eating habits, our state of mind and the way that we often ignore small symptoms that can later lead to significant issues that affect our overall wellbeing. So, when you come for a consultation with Katie or do one via Skype, Katie aims to read you like a book – you have to have an open frame of mind, that goes without saying, following which Katie gives you the tools that you will need to integrate into your daily routine. the Rescue Breath Ritual with which to start or to end the day with. the Reset Ritual, for when you feel energetically depleted. the Beauty Restorer Ritual that helps rejuvenate your face & your complexion with the facial, jade Gua Sha. Each ritual can take as little as one minute ( five at most ), so the argument ‘I am so busy, I have no time’ can’t be used as an excuse not to. What appealed to me as consumer, is the fact that Katie gives you the tools, but YOU have to do the work. There is no magic pill, nor the result that she will promise you without you putting time and effort into your own future wellbeing. We live in times of incredibly fast speeds and often empty promises, so Katie’s method, which rests on ancient traditions and modern experience, is something that genuinely resonates. Your body has symptoms and you need to understand what your body is telling you, in order to address the problem, before a small niggle becomes a huge burden to deal with. It took Katie about five years to perfect her method, achieving a balance between the solution that makes sense to the consumer, while not being scary or overwhelming in its magnitude. And while Katie does offer 1-to-1 consultation, she also offers regular free virtual case classes via Facebook, where she covers a variety of topics, from diet & weightless to acne & eczema. She is here to help & to be a knowledgable soundboard, but regular appointments is not what Katie’s method is about. She is here to share what she knows and to help you understand what you need to do and why – the rest is up to you, my dear reader. Each one of us is unique and over the course of a lifetime each one of us will develop unique patterns and symptoms, that experienced practitioners like Katie are able to decipher. Do the method and see the improvement, because when you understand WHY you are actually doing something, you realise that you CAN change things. Katie gave me an apt comparison of a brushing our teeth in the morning – it is a habit most of us have, because we all want healthy and beautiful teeth. Well, Hayo’u method can be easily compared to the toothbrush and the effect is achieves for our bodies & minds. My dear readers, finally I can share with you a Russian natural beauty brand worth shouting about. My own Botanic Garden journey started last summer, thanks to a gift from Elena, aka blogger Consumerista. As we caught up on things last summer over coffee & tea at Coffemania, Lena gave me a bag, which contained several of Botanic Garden goodies. I was delighted and curious to unwrap and start using them upon my return to London. 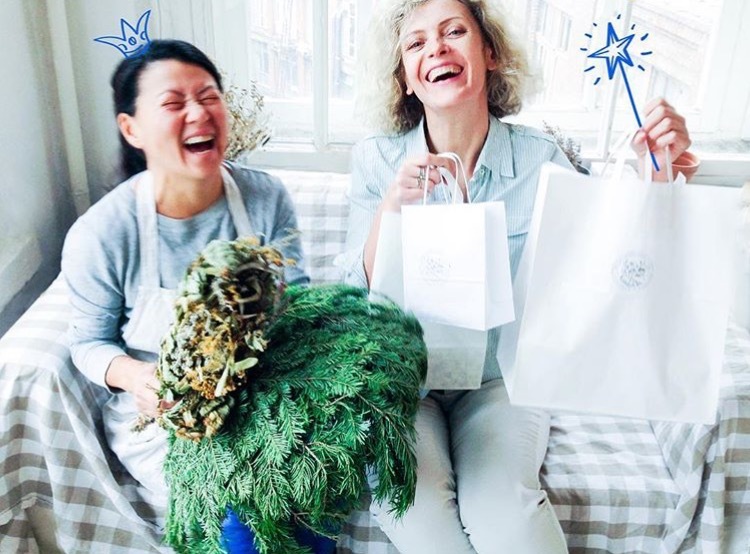 Several orders and many conversations with brand founders, Elena Babayeva and Anastasia Markova, later, I am happy to introduce them to you via a Q & A. And within a week or two, it will be followed by my review of a multitude of their products and teas, that delight me and stroke my inner Russian pride. Below is my translation of the Q & A, but for those of you who speak Russian, an original Q & A in Russian is further down. GAP: Can you please tell me how you met each other ? EB & AM: We met when we were both studying for our University degrees: Elena in Surikov Academic Institute, for a diploma in ‘History & Theory of Art’, Anastasia at Moscow State University, on the sociology faculty. We had a common group of friends, through which we met & started spending time together – picnics, travels, museums & exhibitions, birthday parties….It truly was a golden, care-free time! After graduation each one of us worked in areas of design, marketing and communications for big corporations. As it often happens, at some stage we both asked each other the same question: ‘Why don’t we try to be be self-employed?’…that’s really how our company was born. GAP: How did you build your business and why did you decide to call your company ‘Botanic Garden’? As natural beauty segment of the market continues to grow, it’s interesting to observe the differences between brands launched around the world and how they navigate increased competition from their fellow competitiors in the same skincare niche. 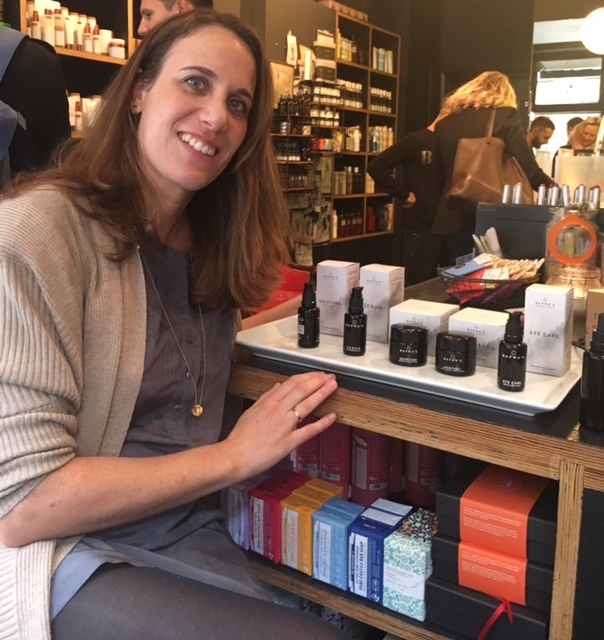 Dafna’s Personal Skincare is a Spanish brand that earlier this year was launched at Content Beauty, where I had the pleasure of meeting Dafna, the brand’s founder. I got to quiz her about her approach to beauty, what makes her brand unique and how she balances work and family commitments. Putting your own name on a brand automatically makes it more personal, but in addition, Dafna’s name also means ‘laurel leaves’ in Hebrew, which works as brand’s logo. Dafna creates natural products, of which there are currently five, by combining high concentrations of 40 active ingredients (11-25 actives per product), which include essential oils and botanical extracts with advances in biotechnology that together bring visible results to your skin. Due to ingredients being at a low molecular weight, they make formulas more effective. 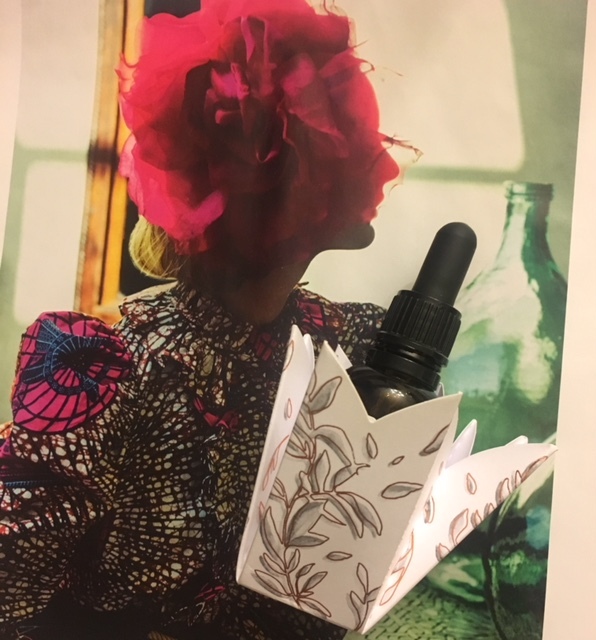 Created to work synergestically, they aim to fight early signs of ageing and accumulated damage to cells caused by free radicals, skin dehydration and intristic oxidative stress, to which most of us are exposed daily, irrespective of seasons or places where we live. But a word of warning – don’t jump from product to product or from brand to brand – if you want to see results, be consistent with what you use for at least a few months, unless your skin reactes negatively to something – only then you can draw conclusions about efficacy of a specific product for your skin.